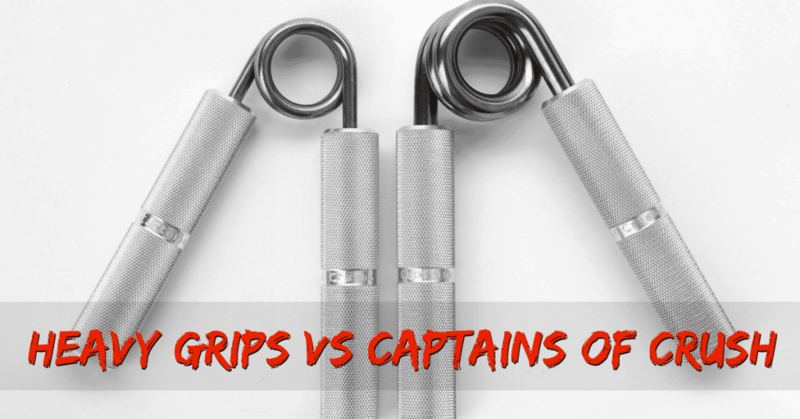 Heavy Grips Vs Captains Of Crush: Which One Should You Buy? The hand gripper tests the muscles of the hand and forearm like no other tool; that is why it is a staple of strength testing. Closing one of the heavier ones is a ticket to being, at least somewhat, internet famous. Two of the most known and best hand grippers are Heavy Grips and Captains of Crush. We’ll be looking at both of them and making a thorough comparison so that you can decide which one is right for you. At the end of this article, you’ll know everything you need about grippers and how you can use them in your training to get the best results. How to Choose a Good Hand Gripper? Which Hand Gripper Should I Start With? First things first: you’ll want to look at two key components in a gripper: the build quality and the resistance it offers. Forget about the mass-market grippers with plastic handles; they are practically useless. If you want to actually build your grip strength and not just do thousands of easy reps, you’ll need to look elsewhere. A good gripper will come with aluminum handles and a quality steel torsion spring. While they won’t come cheap like the junk you can buy at Walmart, they will last you a lifetime and are a great investment into your fitness (that you can carry around in your pocket). So, which are the grippers you’ll want to look at? As I’ve said before, when it comes to serious gripping work, there are really only two companies that produce top-of-the-notch hand grippers. Those are IronMind with their Captains of Crush (COC for short) and Heavy Sports Heavy Grips (HG). Both feature excellent build quality, although COC’s are the golden standard and reportedly have better and more consistent quality. As many users state, Heavy Grips get easier to close because the spring weakens faster. Therefore, COC wins in the durability category. The “sweep” (the beginning part of the close) is harder on the COC due to its larger design of the gripper. Because the HG has a slightly shorter sweep range, they are much more ideal for people with smaller hands. The knurling on COC’s is smoother while the one on HG’s is harsher, but, if you are just starting out, you’re likely to get some skin rips from either of them. Again, this makes HG’s a bit easier due to better grip. For only a few bucks more, you can get the more consistent, better quality IronMind Captain of Crush hand gripper. They are the golden standard for a reason: they have a history of quality and they are the most prominent gripper in the serious grip training world. The only case where I would recommend the Heavy Grips is for people with smaller hands, which will likely find the COC’s to be too large for them. Remember that the build quality isn’t as consistent with the Heavy Grips, which means that HG300 could be as strong as COC #3. If you are a beginner to strength training, start with the easiest ones; the trainer and the #1 with Captains of Crush and the 150 and 200 pound ones with Heavy Grips. It might not seem much to start with, but unless you were born with above-average forearm strength these will be challenging enough. For more advanced trainees, however, start out with one of the next two, but beware: COC #2 and HG250 are already known to be quite hard. The rest of them are meant to be trained for and you will have to do that to close them (unless you are a freak of nature). However, the vice grip will be worth it. Regular use of hand grippers will increase your grip strength and help you in all exercises where you have to hold a bar – nearly all of them. If your grip is your weak point, training with grippers will help you patch it up and increase the weights you can handle on the deadlift, row, farmer’s walk and nearly all other exercises. As we’ve said before, grip strength is a good predictor of whole body strength. It is also a very “functional” strength increase. Handshakes and pickle jars aside, your grip is one of the predictors of your overall strength and energy levels. It is also a predictor of all-cause mortality – meaning, you’re less likely to die sooner if your grip is strong. If you are one of the guys who suffers from small-forearm syndrome, gripping regularly and gripping heavily can do wonders to develop your atrophied lower arms. While you won’t be able to get huge (that’s mostly genetic), you will be able to increase both strength and size considerably. For climbers, hand grippers can improve their grip endurance. Although climbing is heavily dependent on pinch grip, having more forearm endurance is always welcome. If that is your goal, you will need to work higher reps with a gripper of lower poundage. Finally, grip strength is perhaps the most useful in real life of all of the muscles we develop at the gym. Now you can actually only take one trip with the twelve bags of groceries. You can open that pickle jar. You can split that apple in half. Life’s good. Closing a gripper seems simple enough: you grab it with your hand and you can either do it, or you can’t. However, to achieve that feat, especially with the heavier versions, a number of specific training methods have been developed over the years. Close the gripper with two hands and slowly release it with just one. This is called the eccentric portion (the part where your muscles lengthen instead of contract) and we can produce more force in it. That is why you can’t close the gripper, but you can slowly release it. Negatives build both strength and neural control needed to perform the full closing. After you can do five slow, controlled negatives, try to close it once again. A variety of partial movements are incorporated into training with the heavy grippers. Closing it halfway with both hands and finishing it with one is a popular method, as is squeezing it to the point to where you can. Over time, both will lead to closing it properly, but the process takes time. When you find the jump between two grippers to wide, just doing more reps might not be the best approach. Closing a gripper and keeping it closed is a favorite training technique of many. After you can hold a particular version for 45 seconds, the next one should pose you no problem. Since you can carry grippers around, it is a good idea to do your training with them throughout the day in a grease-the-groove fashion. Keeping them on your desk or school bag is a surefire way to regular use. A word of caution: never rush it with grippers: the forearm and hand muscles are small and prone to injury if you overdo it. Also, to counteract all the squeezing you should do some type of reverse movement to prevent an imbalance. A small band works well: put it around your fingers and expand it as far as you can and repeat. Another solution is to use a rice bucket; it’s a tool that is seriously awesome for general forearm and grip strength and health. Hand grippers are one of the best implements for developing awesome grip strength and huge forearms. A top-quality one will last you a lifetime and you can bring it anywhere, making the biggest training problem to not do too much. Elliptical vs Treadmill: Which Is Better For Weight Loss? Kettlebells Vs Dumbbells: Which One Is Better For Your Goals? Hex Dumbbells vs. Round Dumbbells: Is There Really a Difference? 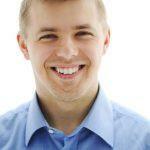 Brian Ward is the founder & editor of KickAssHomeGym. From home workout to Crossfit, he loves to share informative articles that help people improve their workouts & get faster results. TheWorkoutDigest.com is designed for informational purposes only & DOES NOT provide medical advice, treatment or diagnosis. WorkoutDigest is not associated with CrossFit.com. Any and all words on TheWorkoutDigest.com are not represented by CrossFit, Inc.